Skoda currently has total of 17	car models in India. Skoda Cars price starts from ₹ 4,00,000 . Click on the below images to see the details of each models. Václav Laurin - a mechanic, and Václav Klement - a bookseller made bicycles of their own naming them Slavia. After a long history, finally in 1990, the then czechoslovakian government run company became part of the Volkswagen Group, to make use of its expertise and financial abundance in the field. The Skoda is all set to be a long term player with its latest array of new models. Skoda has a history of producing cars of high standards with the use of latest technology and also ensures that the cars are made available at attractive prices. 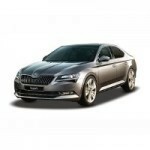 Already Own a Skoda Car? * Skoda may not sell all the car listed here in all showrooms. 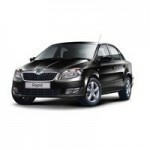 Price of Skoda car listed here are dealer price only not the on road price of the car. Skoda car pictures are for representation purpose only. 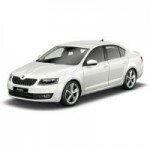 To book and know the on road price of any Skoda car click the buy now button. buy rapid and get fabia free.this schme from ahmedabad torquie showroom.i want to buy in this scheme only.